In 2008 Keith Owen bequeathed over 2 million pounds to Sidmouth. His wish was to leave a million blooms to Sidmouth. In 2012 hundreds of thousands of daffodils were planted around the town. 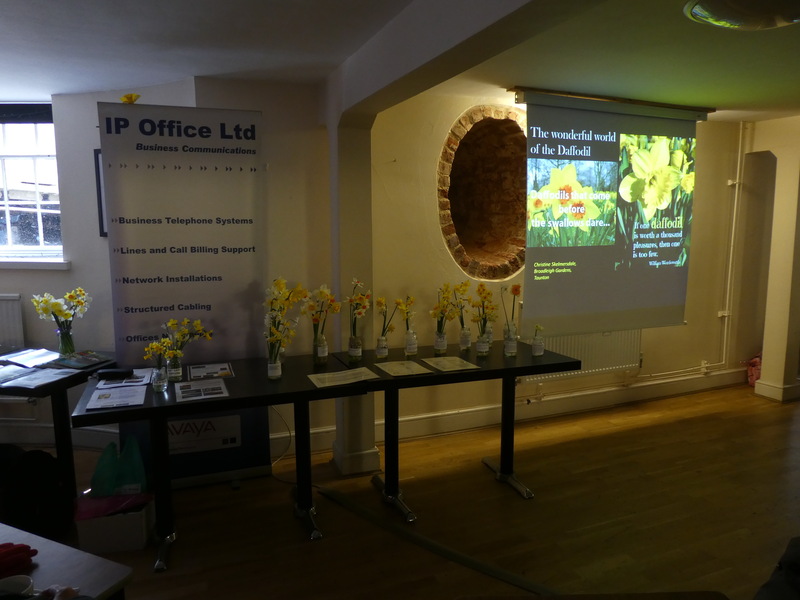 This year a small group of friends got together, forming the Sidmouth Daffodil Society, to organise their first annual Daffodil Day and promote more daffodil planting throughout the Sid Valley This should have been on Saturday 3rd March, 2018 but sadly it had to be postponed until Easter Saturday as there was 2 inches of snow! The main event was held at historic Kennaway House and grounds in the centre of Sidmouth. 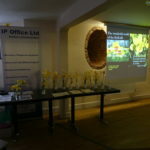 with daffodil talks in the downstairs room with an art exhibition, photographic competition, a plant fair in the grounds and walks to the daffodil sites around the town. 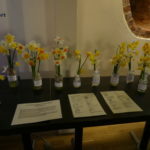 Christine Skelmersdale of Broadleigh Gardens lectured on the Wonderful World of the Daffodil and this was supported by a display to explain the classification system. 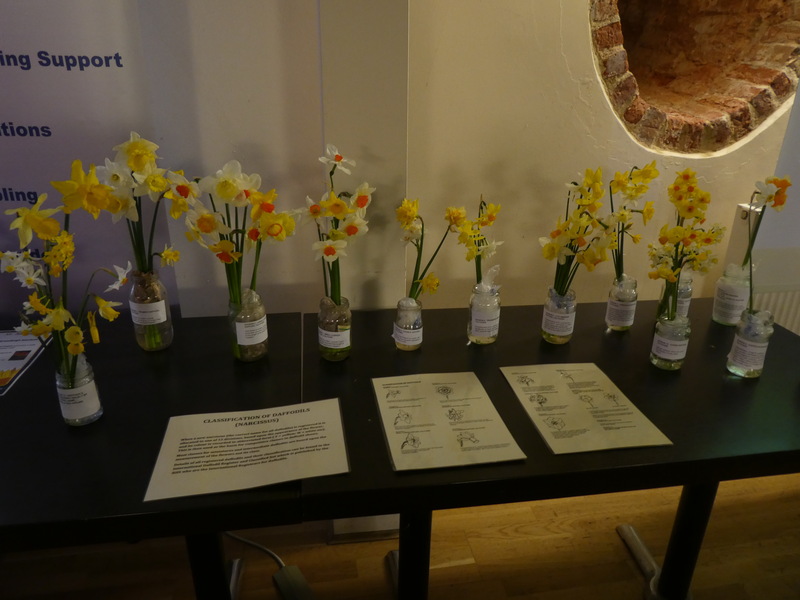 Kevin Hughes, originally head gardener & ran the nursery at Heale House Gardens near Salisbury then talked about narcissus in the wild especially the southern Spanish species showing how to understand their ecological requirements.